Get pictures and video like never before. The use of a manned aircraft is very costly and limited to how low or close it can get to the action. The UAV has the ability to get within a few feet of most objects and capture amazing pictures and video with a full 360 degree view. Performing an audit of a tower or structure with a UAV will confirm what equipment is installed on a structure and/or to see if there is available room for new equipment on the existing structure. Using a UAV is quicker, safer and in return saves the customer money when performing inspections. Whether the inspection is for a tower, bridge, building or gravel pit, UAV Tower Innovations uses the (best) equipment to get the job done quickly and safely. Using a UAV to complete a line of site survey (LOS) is faster, cheaper and much more accurate and will not damage existing property like conventional means of using a crane. 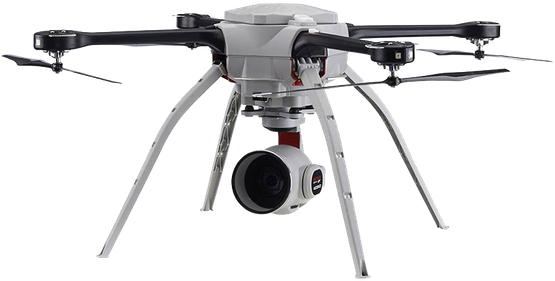 UAV Tower Innovations Inc. uses state of the art UAVs and equipment to capture high definition images and video with real time viewing on the ground for monitoring. The UAV we use can fly in almost any weather condition, rain, snow and 65km winds sustained and up to 90km gusts. The benefits of using UAV technology are fast deployment, time efficient and cost savings when gathering important image information, and reducing risk to personnel in situations that would otherwise be difficult, dangerous or inaccessible.